Are you excited about the big things Father has in store for you? If so, right now is a kairos (opportune) time in which you can see more and more outrageous answers–but it’s up to you. The Lord impressed upon my heart recently that the months of March through May are a time when He is tipping the vials of prayers that have ascended up to Him a very long time. These months, for many, will be a final push toward the birthing of blessings long stored up for you. Therefore, for the months of March, April, and May, the Lord told me to set aside extra time to do business with Him in the prayer closet. I have taken this word to heart, and am already seeing the manifestation of things I have been praying for the last 5-15 years. But I believe this is a word for all of us. We are all to make extra effort to do business with God over the next three months. It is a particularly fertile time to receive answers to prayers, for Father has been setting many things aright and preparing ground that is now ready for harvest. 1. God has given mankind dominion over the earth. Therefore, we have the authority to release Him to work when we pray. God has never violated the free will that He gave humankind. And He has given dominion over the earth to men and women, boys and girls. What is man that You are mindful of him, and the son of man that You visit him? For You have made him a little lower than the angels, and You have crowned him with glory and honor. However, He does not violate the authority He has given us. To do so would be a violation of our free will. Related: Get Kingdom Authority 101 to learn how to wield the authority Jesus purchased back for us with His blood. Understanding how Kingdom authority works is absolutely essential if you want to walk in the supernatural. It matters because God has given dominion over the earth to men. Therefore, if we want Him to move on the earth, we must ask. History is full of stories of God moving when there was prayer, yet no progress being made when there was none. If we want God to move, we must pray. Even Jesus came as a baby in response to prayer and intercession. God had told us that it was His will to send the Messiah, and dedicated lovers of God prayed for the Deliverer to come for thousands of years. I believe He will also return the second time in response to prayer and intercession; we are to pray “Even so, come, Lord Jesus” (Revelation 22:20). We have dominion over the earth. If we desire to see God move on the earth, we must pray. Related: Use my radical prayers here to get started praying with authority and power! 3. God has always desired to converse and even reason with mankind. God desires the best for us now. Even if some things are stored up for the future, they can be pulled into the present by the prayer of faith. Also, even if we actually deserve discipline from our Father, His mind can be changed. If you don’t believe it, think about Mary, the mother of Jesus. She put a demand on Jesus with her faith at the wedding in Cana. Her hosts had no wine, and Jesus said His hour had not yet come. However, when she told the servants to listen to Jesus and do whatever He said, she demonstrated an insistent faith so strong that her faith actually brought the miracles reserved for a future hour into the present. Mary changed God’s mind, and He rewarded her faith. Then remember Moses, who interceded before God for the lives of the children of Israel. It was God’s plan to wipe them out and raise up a new nation from the offspring of Moses. But Moses reasoned with God, and He changed His mind. … but enter Abraham. The Lord stopped by Abraham’s tent to see His friend on the way to render judgment to the wickedness of Sodom and Gomorrah. Abraham, moved with compassion, began to reason with God … and God agreed not to carry out the judgment He intended to carry out if the conditions Abraham had required were met. They weren’t met, but did Abraham stop bargaining too soon? One has to wonder. Think also of Jonah, preaching to Nineveh. According to Jonah 3:4, the word of the Lord was, “Yet forty days, and Nineveh shall be overthrown!” But then the inhabitants of Nineveh repented in sackcloth and ashes … and God stayed His hand. Mercy triumphs over judgment every time, if we will but cry out for mercy in faith. And asking God for His mercy requires us to reason–to do business–with God. Some people may object to my saying that we must “reason” with God. They object because, in many instances, “reasoning” can be an unholy thing. However, the problem with reasoning only arises if we think that our reasoning is the same as God’s reasoning, and therefore we give ourselves excuse to “reason” the way we think it should be done. In reality, our human reasoning is only evil because it looks nothing like God’s reasoning at all. Human reasoning is a godless invention; it’s a process of using our own train of thought to justify our pride and exclude God from the equation due to the lust of the flesh. I will praise You with my whole heart; before the gods I will sing praises to You. When we reason with God His way, we search out the deep things of His Word to discover His will for our lives individually and for the whole earth. Then, we go boldly before God’s throne of grace as the kings over the earth that we are. From that position, we are to present our requests to Him with prayer, supplication, and thanksgiving–based on His own Word. When we pray God’s own Word back to Him, we have assurance that we will receive whatever we request. So doing business with God means presenting His own will back to Him and insisting–no, demanding–that He carry out His will for us at once. 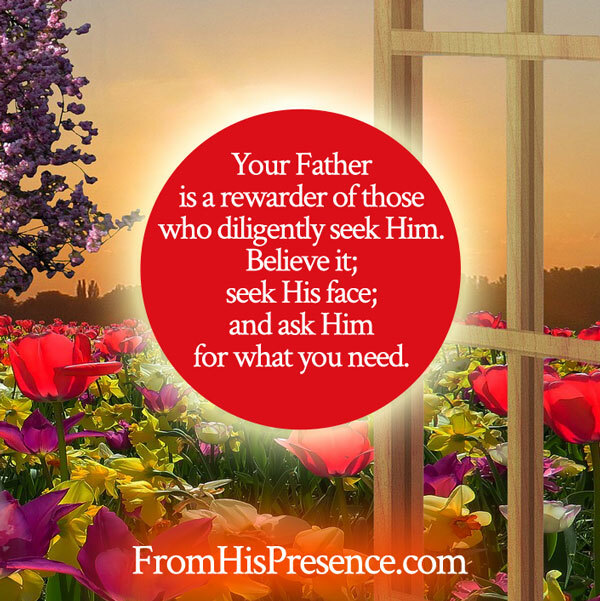 Father specifically desires us to ask, and He intends to give us joy with His answers. If we have not been asking, we have no one but ourselves to blame. But don’t let that fact discourage you. Use it to empower you! LOOK at the amazing and powerful potential in your hands! The God of the universe says that if YOU want to be blessed, YOU can ask and He will answer YOUR prayer! Do you see the power in that? It’s up to you! You don’t have to wait for circumstances to look right. You don’t have to wait on other people. You don’t have to wait for some distant point in the future–some supposed coming-of-age moment in the spirit, when you will reach supposed perfection. You don’t have to wait for anything. YOU can ask, right now, and God will answer, right now. It depends entirely on you. This means you cannot live a holy life without His help. You cannot think rightly without His help. You cannot receive the physical, material, or financial provision you need without His help. You cannot open doors for yourself, and you cannot shut other doors for yourself. We are completely dependent on God. And right now, God is inviting us to do business with Him. Of course, the doors to His throne are always open. However, the months of March, April, and May are an extremely fertile–I heard Holy Spirit whisper that word specifically, “fertile”–time for receiving serious answers to God resulting from business transactions you conduct with Him in prayer right now. The gauntlet has been thrown down. How will you respond? Will you set yourself apart to seek Him morning, noon, and night? Will you go boldly before His throne of grace, praying specific prayers and expecting specific answers, asking that you may receive? If you will, I believe you are about to see outrageous works of God established and manifested in your life. All glory be to Him! 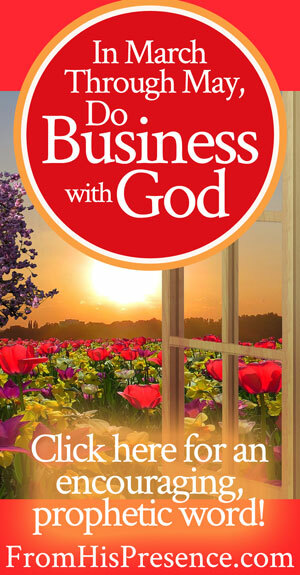 Will you accept the challenge to do business with God on purpose over these next three months? If so, leave a comment below! I’d love to hear from you! I think He’s making decisions already. Challenge accepted. 🙂 Thanks for this post. I know and I have seen since February how my LOVING Father has been making those decisions and how doors that had been closed for so many years are now opening, the scales which were on my eyes have fallen and I see with new eyes. Amen. Amen. It’s amazing to see those doors open, I know. I’m so glad you’re seeing the same thing! It’s wonderful how Holy Spirit speaks the same way to all of us, isn’t it? That way He builds our confidence that we are hearing! Praising God with you! 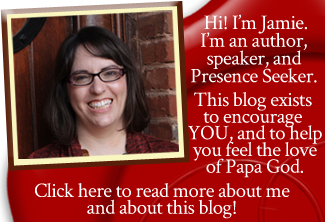 My birthday is in May, and there are more things that are connecting and that Holy Spirit is quickening about the significance of this one…Thank you, Jamie for sharing this confirmation. Will continue to press in worshiping, seeking, asking, listening and taking steps in faith. I love you precious Big Sister! What a beautiful Jewel you are! Glory be to God for His love towards His children. He is always there for us. The Lord has told me to set up a business meeting with him. This is wonderful confirmation. Very cool. I love business meetings with Him! Amen! I accept this challenge and I have some major life decisions happening during these months. Thank you for sending this, He has been working for 3 years on my prayer requests and now I am beginning to see them manifest!! I am SO excited and this post confirms what He is doing! We need a miracle in our family now. We need doors to open that only He can open. We need a breakthrough that only He can provide. Lord we need you desparatly in our family. Please show us an d others you glory to make your name great! I am praying for you right now, Tami, and declaring. Speak to those doors! Tell them to do what you want them to do–whether opening or closing! Command it to be to you according to Father’s perfect will. And it will be done. The Word is the seed, the “sperma” in Greek, that makes it happen. God’s Word canNOT return to Him void! Thank you so much for your obedience. This post greatly blessed me, and so have the other comments. I will indeed, do business with God. Thank you for this prophetic guidance. I’d like to share a famous quote by Reinhard Bonnke – “When you do business with people you need money. When you do business with God you need faith. Faith is the currency of the Kingdom of God”. Awesome quote. Thanks for sharing! Thank you for this particular post. I take up the challenge. I am asking the Lord to restore my country, Zimbabwe to good governance, am again asking him to open doors for my son & my daughter in their professional fields. Thank you for sharing I know that when speaks to you and share if it happens , so I will do business with God through prayers . I remember in one post you shared with us sometimes last year saying God says we should do small business . And gather all those small plans we have for business . It all state rd with that dream you had about one particular bird . I can not remember your entire dream but I took it and the lord had given me a small business and now I can make a living. Please join in prayers for me so that my business grows and since my husband is unemployed . I trust God for it. Thank you God will continue to bless you. Wow! Goodness, thank you for sharing this! I praise God for PROSPERING you! And I’m so glad our Father God gave you a dream and helped you make it happen! Praise GOD!!! Amen and amen! Pray over your list over and over, Millie! You can’t have too much prayer! I believe this is a word spoken fitly inn this exact time! #1:I ask that in joing me in agreement Our Father watches iver His Word and keep it and perfom it and manifest it Now in my life as promised. I need a house for me and my childre to come forth. No more moving as in Numbers 33. To loose His will upon earth as it is in heaven and stur the hearts of those in position to be a blessing to me and my children. #2: To bring wisdom on how to expand my business that i may be a bigger blessung to those who He places in my sphere of influence. That as i enter into His Rest, He bring forth the increase. #3: Father, you said there will be hisbands in my family that your name is glorified! Send forth the Husbands and sanctify my household and bless my children and grandchildren. #4: and as you spoke to Job, you also spoke to me, i would receive double for all that the enemy has stolen from me! Let it come Now as you have already promised! #5: Take away all soiritual blindness & deafness from over my children and whole gousehold Lord as You have promised. And Abba, Father, Today i declare and decree in the pressence of many witnesses, It is finished and it is done, according to your Word, so be it unto me! In the name of your only Begotten Son, Yeshua, Jesus! Sealed by the precious Blood of the Lamb of God, Amen, amen. I accept the challenge…thank You Abba Father in advance for what You are about to do! Thank you Jamie and thank you Almighty Abba for your presence, grace, and glory that is being manifested and will continuously be manifested over these next 3 months and beyond! HALLELUJAH! Jamie thank you for sharing this challenge. I’ve ask my sister to join me in this. I’m believing BIG for God to move upon our behalf. Amen. Go for it, Diane! May you be blessed in your contending prayer. Especially with my brother who is a drug addict. Rosemond, I definitely encourage you to do business with God over the matter of your brother’s deliverance, healing, and salvation (if he is not saved). Father will hear and answer as only He can! Many blessings to you today! Thank you for reading! Just ask Holy Spirit to help you pray, Rosemond, and He will. He is our Intercessor! I accept the challenge. Thanks Jamie for sharing. Even though reading this post a little bit late,I know it’s never too late with God.